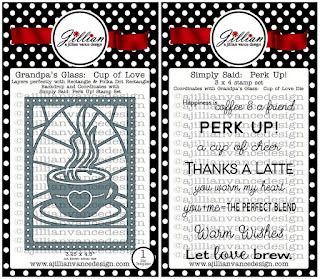 Hello A Jillian Vance Design fans!! Rosemary here with a card that I made using the new Grandpa's Glass Cup of Love die and the companion stamp set Simply Said: Perk Up. You can buy the die and stamp set together as a bundle or pick them up separately. 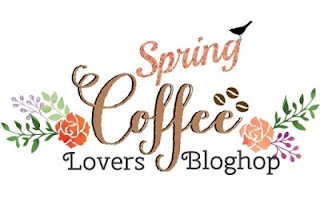 As many of you know the Spring Coffee Lover's blog hop has been going on since March 18th. 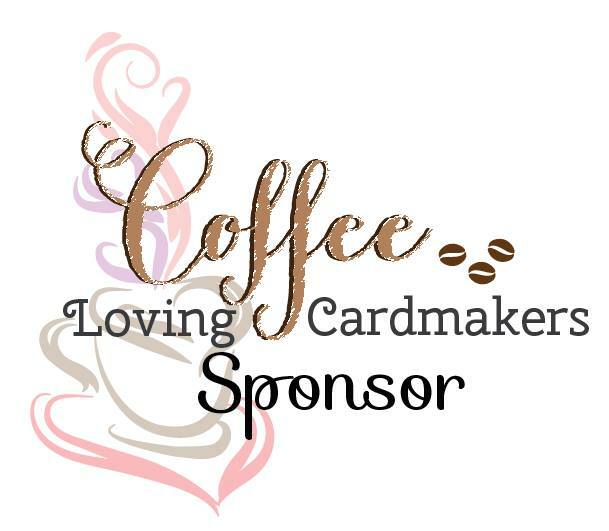 A Jillian Vance Design is a super sponsor (YAY!!) and that means that if you play along you have a chance to win a $25.00 gift certificate to the A Jillian Vance Design store (double YAY!!). So, I will be posting this here little card to the Spring Coffee Lover's blog hop line up. The linkie closes on Friday, March 25th, so there is still lots of time to play along. I wanted to keep things simple for my card so I started by die cutting the Cup of Love from some white cardstock and then removed all the pieces. Only a portion of the die was used to cut the heart and the bottom of the tea cup from red cardstock. 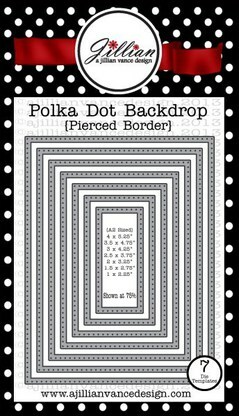 A panel of kraft colored patterned paper was die cut using the second largest die from the Polka Dot Rectangle Backdrop die set. 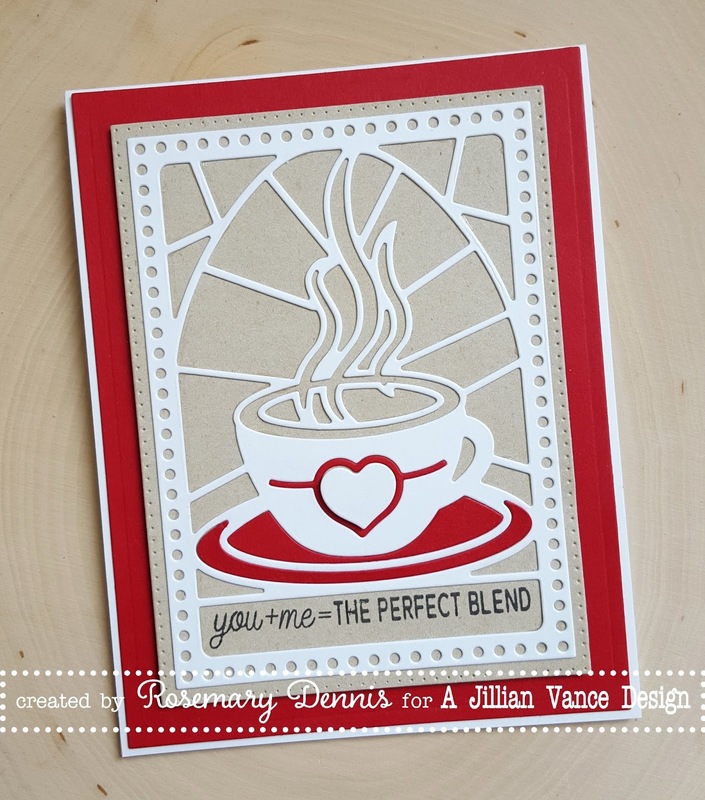 This die creates the perfect mat for the Cup of Love image. I adhered the die cut to the panel and then added in the red cardstock portions. The little heart was popped up with a small piece of foam tape. I stamped the sentiment from Perk Up using black ink. 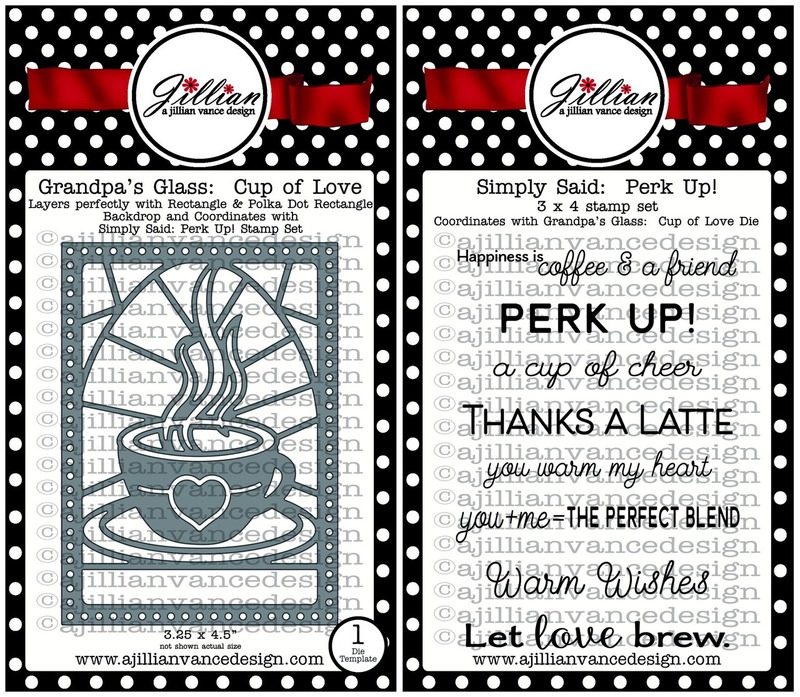 All of the sentiments in Perk Up fit perfectly in the opening at the bottom of the die... love that!! A mat was created for the die cut image by die cutting red cardstock using the largest die from the Rectangle Backdrop dies. A simple, but I think striking looking card! Beautiful card! And that is one beautiful die! beautiful, the red, white + kraft is awesome! Exquisite, I've seen the die with a lot of color; but your red on white is gorgeous. Awesome card! Love everything about it. Wonderful card, love the colors you used. Such a bold and lovely design! Thanks for sharing your wonderful card. LoVe it. Oh my goodness, Rosemary--one of my all-time favorite cards! The way you used the colors & images is just perfect! I've got my fingers & toes crossed for the AJVD gc--you've made my wishlist super long--haha! This die makes such a wonderful card! Cheers! Wow...this is one amazing card. Great card, the die is so beautiful! Great card. I like this color combo. You say you wanted to keep it simple and I say it's simply AMAZING!! LOVE the red, white and kraft together. 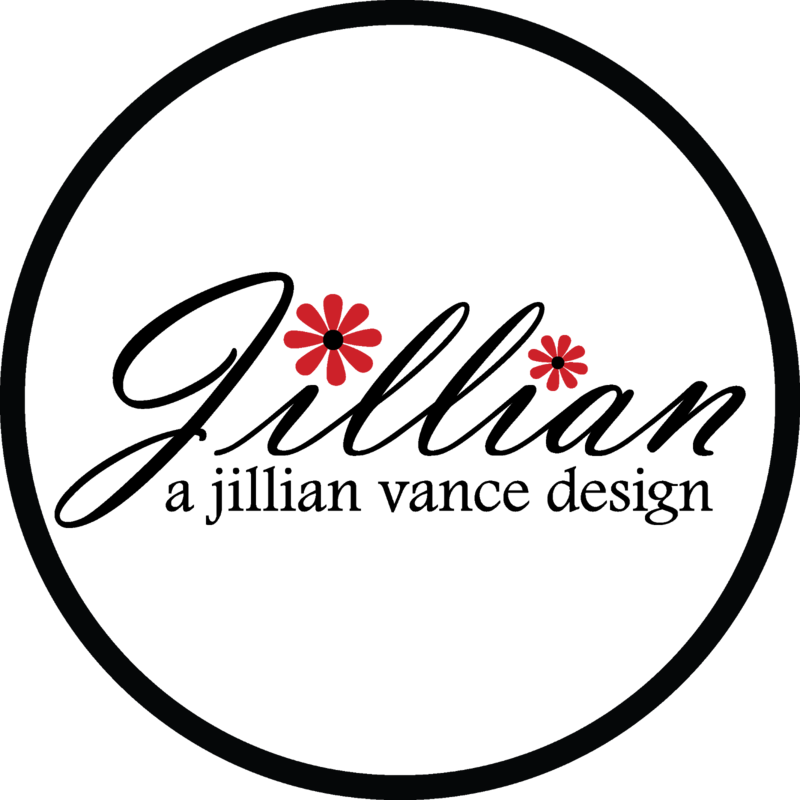 Also love that your brought the red forward in your design to the saucer and heart. FANTASTIC card Rosemary!! Lovely red and white card, Rosemary! Happy Thursday and Happy Hopping! LOVE your HEAVENLY panel with the partial inlaid coffee cup, the SWEET sentiment and GORGEOUS colour combo - LOVE IT ALL!!! I haven't seen this die before - it's so cool! Great card as well ... like that pop of red. Love, love, love this amazing stained glass looking die cut card! So pretty! Love the stained glass coffee die. It's awesome! Love the kraft, white and red together. Such a fab combination. I just can't get enough of that cup of love die. It is amazing wherever I see it.